Ford unveiled its E-Bike Concept, an electric bicycle designed by the automaker to test the waters in a quickly ‘green’ growing transportation industry. The two options designed by Ford include a Smart Ebike and Escooter. In 2010, over 30 million electric bikes were sold worldwide, the most being in Asia and Europe. Ford’s electric bike is made of carbon fiber, aluminum and hides its battery within a U-shaped frame. The motor in the front wheel hub and can propel the E-bike to a speed of 15 mph, tops. The purpose of the bike is just to assist the bicyclist so that they can travel faster, not specifically to do the work for them. It works very similarly to a hybrid vehicle. Currently, Ford has not physically built the E-Bike yet. However, there are also many other automakers also considering similar vehicles, as we switch to a more environmentally sustainable planet. There will be an Ebike released next year by Smart automakers, which is very similar to the Ford creation. The price for the Smart Ebike has not been announced yet, but it can be estimated to be anywhere from $2,500 to $9,000 in the United States, as compared to the Kettler and Optibike that are already on the market. Would you be interested in an ‘E-Bike’? 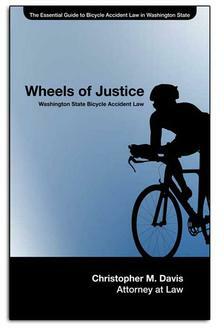 If you've been involved in a bicycle accident, contact Davis Law Group.